Following the events from Saw V, Agent Strahm continues to track detective Hoffman, who was revealed as Jigsaw apprentice in the previous film. 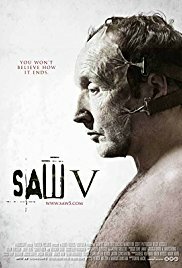 This fifth sequel of the Saw series takes exactly the same elements that made the success of the previous films are carries on, but without adding any surprise. The concept of the cooperative/competitive traps is pretty cool and seeing the various characters competing for their life is enjoyable. I liked the morale that they could have escaped by cooperating instead of competing. It is only too bad that these peoples were put into the traps for no valid reasons. Unfortunately, the new traps are the only good reason to keep watching the Saw movies after the third episode. No exception here, the main story and the side ones, with for example Agent Strahm chasing Hoffman…are kind of boring. Their only purpose is to gives a necessary break between two gruesome scenes. For the first time since the series started, the viewer’s really gets to know who the killer is during the film, and therefore the end is predictable. 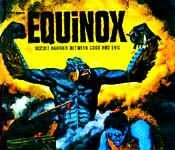 Still, I found this dumb sequel efficient enough to be more entertaining than the previous one. To watch on if you are a fan of the Saw series.